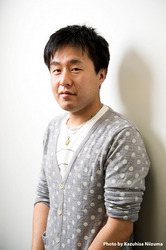 Naoyoshi Shiotani is one of the up-and-coming creators at studio Production I.G. He steadily worked up the ranks until he gained acclaim for directing the third opening sequence for the TV series, BLOOD+. Shiotani made his directorial debut with the 60-min. film, Tokyo Marble Chocolate in 2007. He also lent his talent as the animation director and storyboard artist for the CGI movie Oblivion Island: Haruka and the Magic Mirror (2012). He also directed the movie Blood-C: The Last Dark, and is now focusing on his role as the director for PSYCHO-PASS.